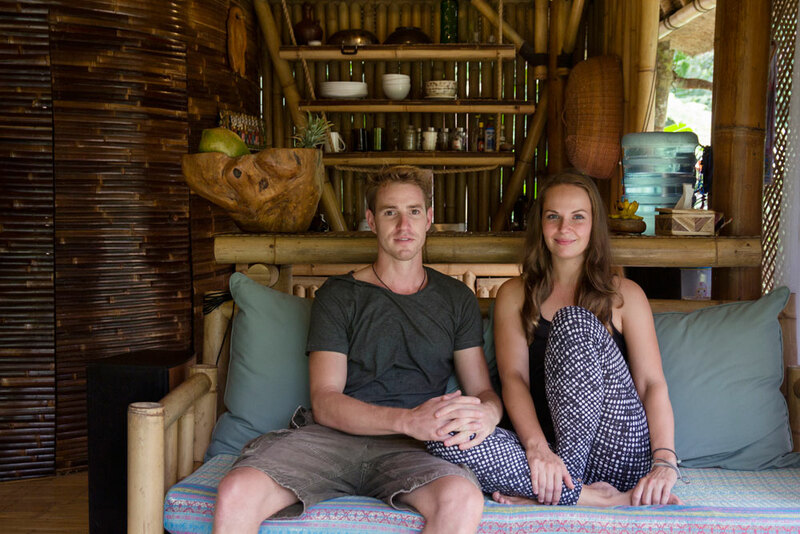 Originally from the Czech Republic, Alena and Jarmil moved to Bali and started Hideout, a project offering sustainable holiday accommodation built of bamboo. Working with locals, they have already built two eco houses and are currently planning the construction of their third house on the island. 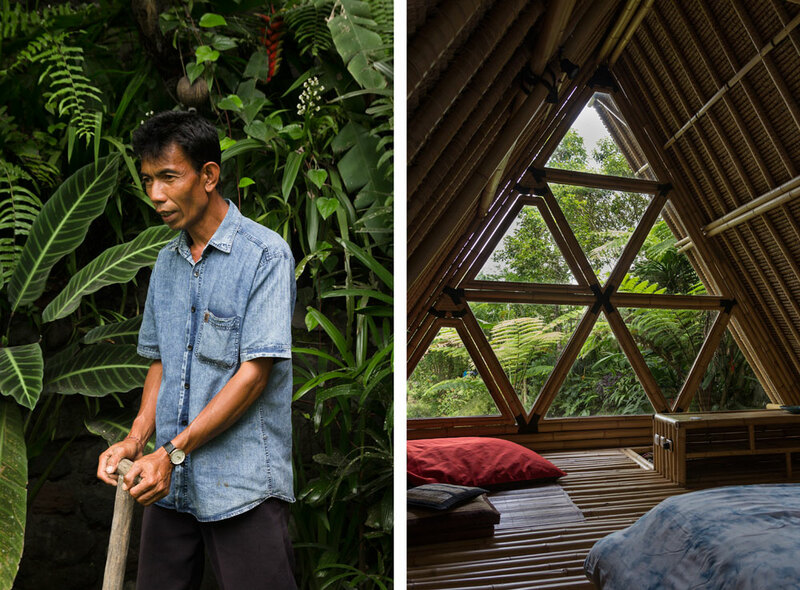 We talked to Alena and Jarmil to discover more about how this project come about, the challenges they’ve faced since they started Hideout and why bamboo is a great construction material. Can you introduce yourselves and tell us about your education and background? Alena: My hometown is Prague, Czech Republic. My academic background is in psychology and adult education, which later came to use working in the human resources department of a FMCG company – I love working with people from different backgrounds. I had never pictured myself living in Asia or being part of such an amazing project, but I guess that you never know where life takes you. Jarmil: I come from a small town right next to Prague. I grew up with my younger brother and parents in a big house with a big garden. My life was always about nature, sports, and music, and it still is nowadays. When I was a child I used to build cabins in our garden. I have always liked trying different things, so I tried different schools – from business to IT, where I got my degree. The paradox is that nothing from my field of studies is useful to me nowadays and I’m back to my childhood building unique houses. How did you meet and what took you to Bali? Alena: We met through a mutual friend, working on a music project. The spark was immediate and to everyone’s surprise, we were moving together to Asia within a couple of months. 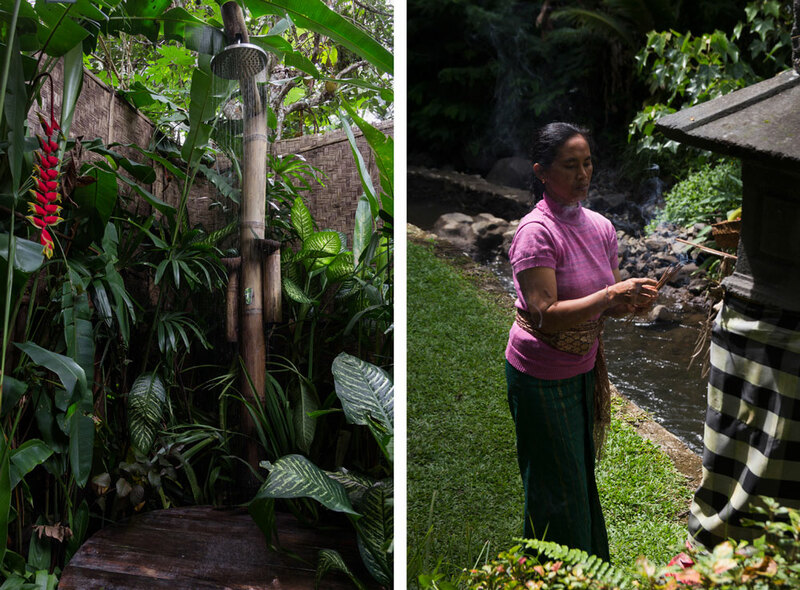 It’s hard to say why Bali exactly, Jarmil had travelled before around SE Asia and this place just hit the right note. Jarmil: During my last year of university I had an accident while skiing in which I broke both legs. I had to be in a wheelchair for quite a while, which was super challenging for a guy who always needs to do something, although I knew it was just temporary. It took me almost two years to fully recover. My dream was to go to New Zealand and I flew there the minute I was able to walk again. I guess this was the beginning of my new life and it brought me eventually to Bali. Another paradox here is that I had to travel across the world in order to meet my soulmate, Ali, in the same town where I was born. What made you start Hideout? Alena: The funny thing is that the concept behind Hideout started as a trial. 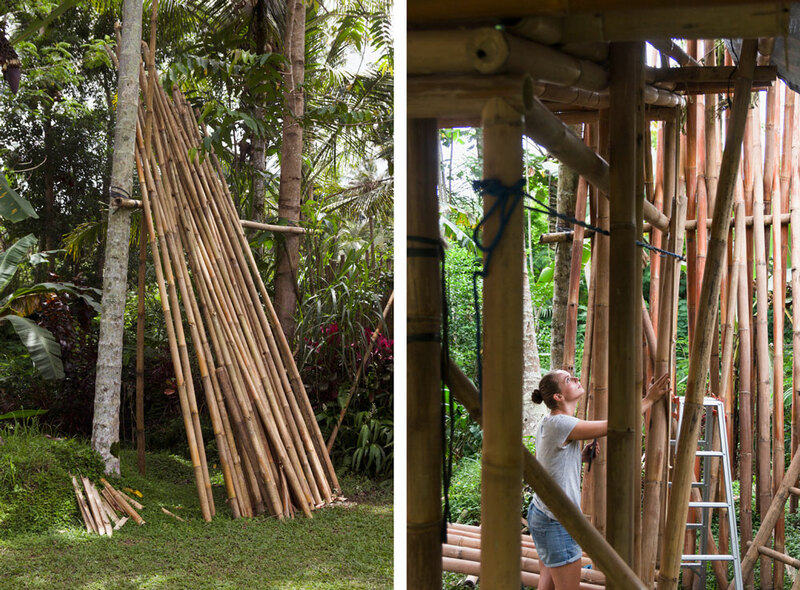 We had never worked with bamboo and we wanted to give it a try, and build something small for ourselves before getting it all figured out. 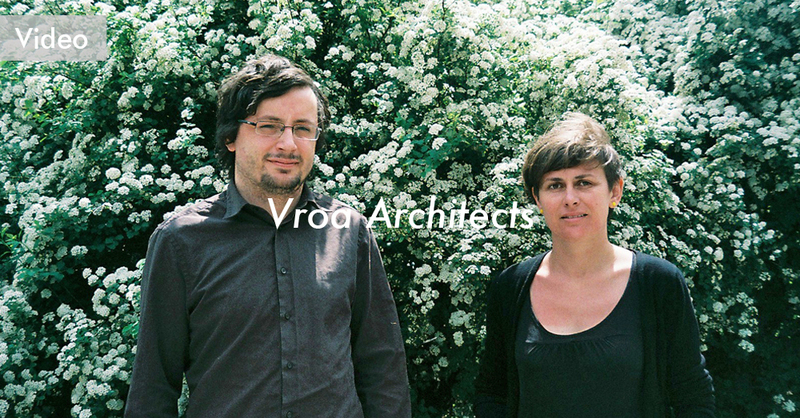 Since we weren’t in touch with any architects or designers, we had so much fun creating something straight from our imagination – no boundaries! Jarmil: We just wanted to try and see what we were capable of. We fell in love with bamboo as a building material and we pushed our imagination to the extreme. Bamboo was something like a modern luxury that was accessible all around us, but we were the only ones in our area who saw the potential. Locals use bamboo just for building cowsheds or rooster cages – only the poorest families use it for their roofs instead of wood. We wanted to change the way they see this building material so we asked a local guy who builds bamboo furniture if he could help us build a house and he agreed. We drew a simple design and started building right after our bamboos were ready. Back then, we had no knowledge about this material and we found out that each type of bamboo needs special attention from the time it is harvested until it can be used for building. The process includes selecting bamboo, cutting, cleaning, drying, treating and polishing again for a nicer colour. Every bamboo pole is different and needs to be picked and installed specifically for its purpose. We aimed to deliver perfect quality in every detail and inspire our guests – if we could do it, everyone can! 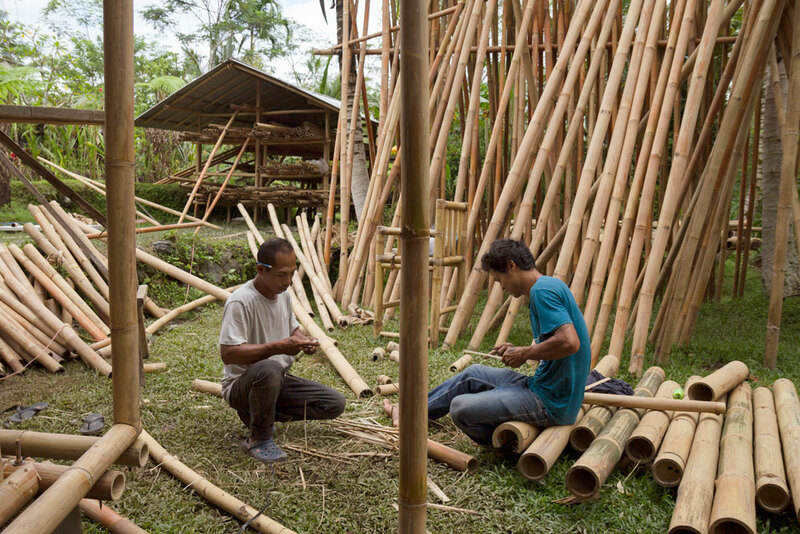 What are the advantages of using bamboo instead of other traditional construction materials? Alena: Bamboo is the most sustainable building material you can get. Bamboo is actually a grass – the largest from the grass family. Bambu Tali (the type of bamboo we use the most) takes only 2-3 years to grow to its full strength when it is harvested. Compared to a tree, which can take up to 50 years, it was a simple choice. Almost every bamboo you find in the house is from local villages. We harvest them, treat them and build with them. Reducing the carbon footprint as we go. 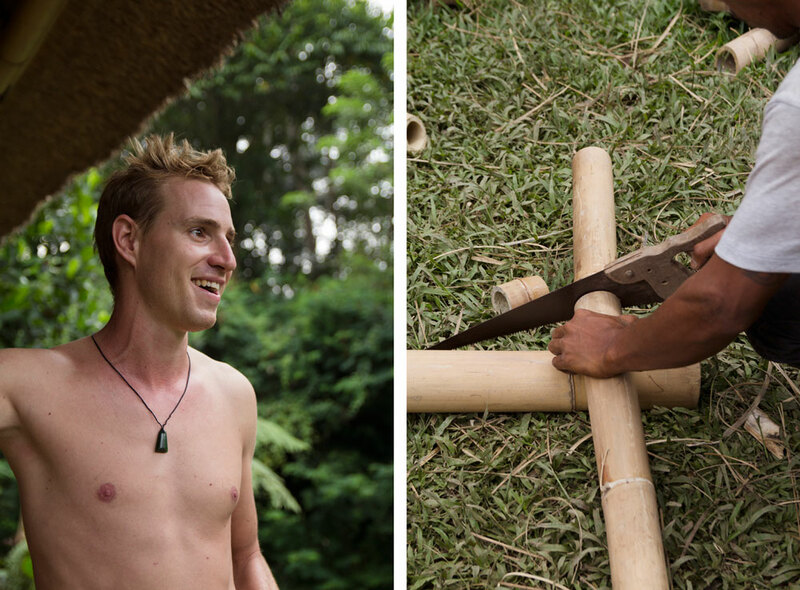 Jarmil: Bamboo is a bit like LEGO: you can put the pieces together and dismantle them if you need to. 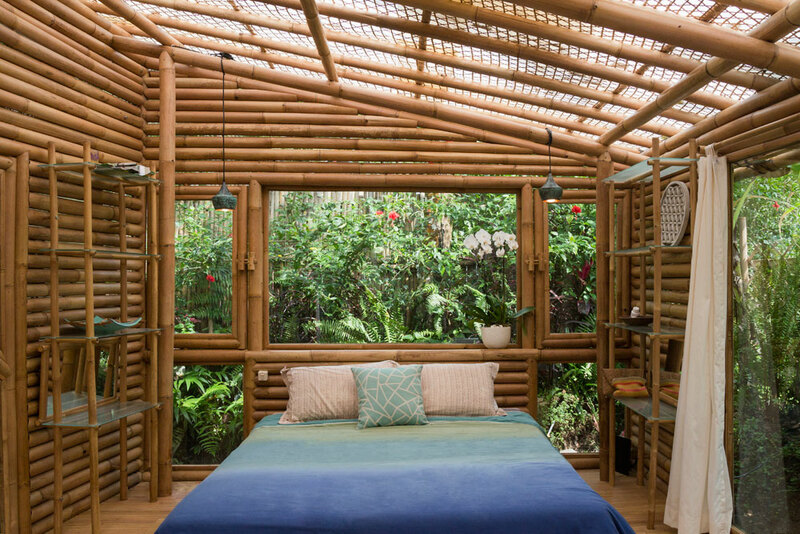 Compared to a concrete building, there is a small chance for a bamboo building to stand for that long, but if you take care about the treatment and you change the parts as you go, we are looking at decades of perfect condition. Can you tell us about the concept behind Hideout and what type of guests you had in mind when you built your three properties? 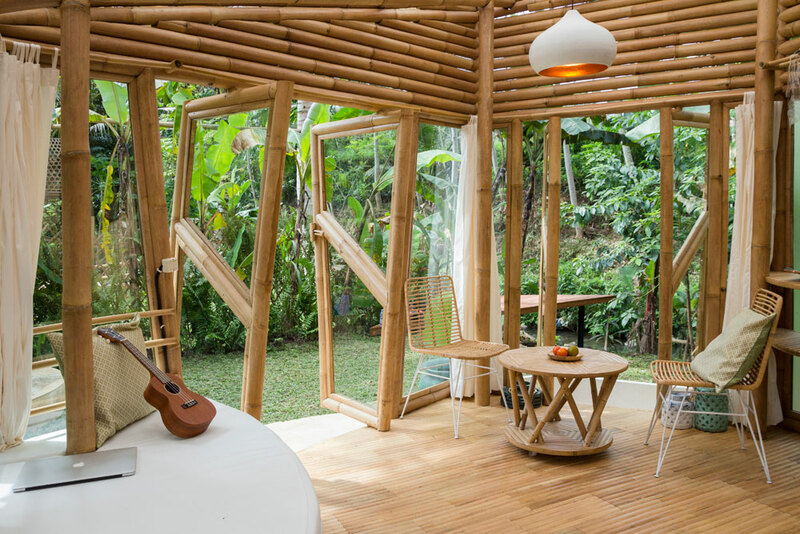 Jarmil: Our concept was to build bamboo buildings accessible for round-the-world travellers. It is quite a unique feeling to sleep in a bamboo house. This experience is perfect for the adventurous traveller, who wants to spend the night surrounded by nature and have an off-the-grid experience. We are not a hotel, we offer maximum privacy and a space where you can find anything you might need. 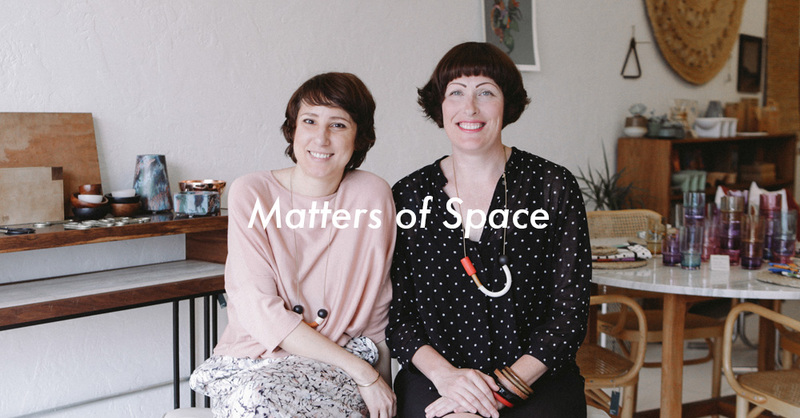 And the same goes for all of our projects – every project is a bit different and aimed to a different type of person or traveller. 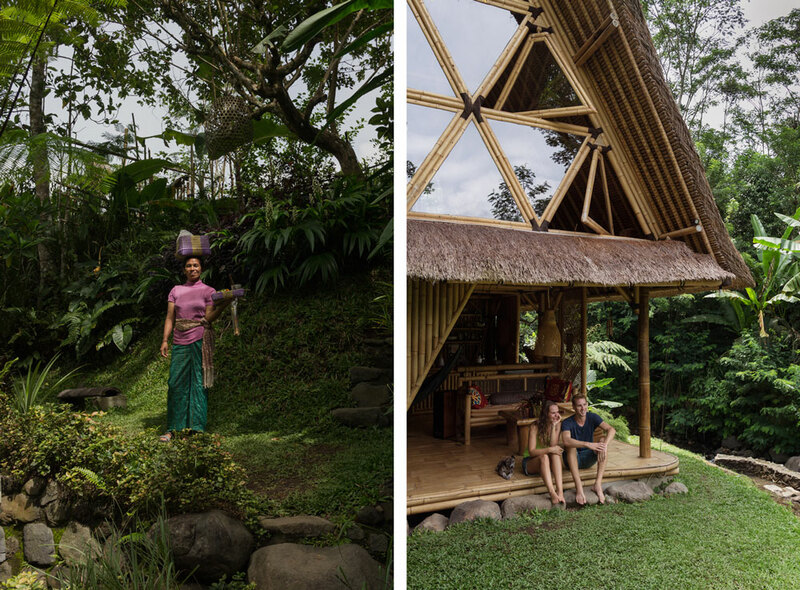 Alena: The first house, which we called Hideout Bali, is built in a classic way with a trianglular-shaped roof and quite a lot of open space. 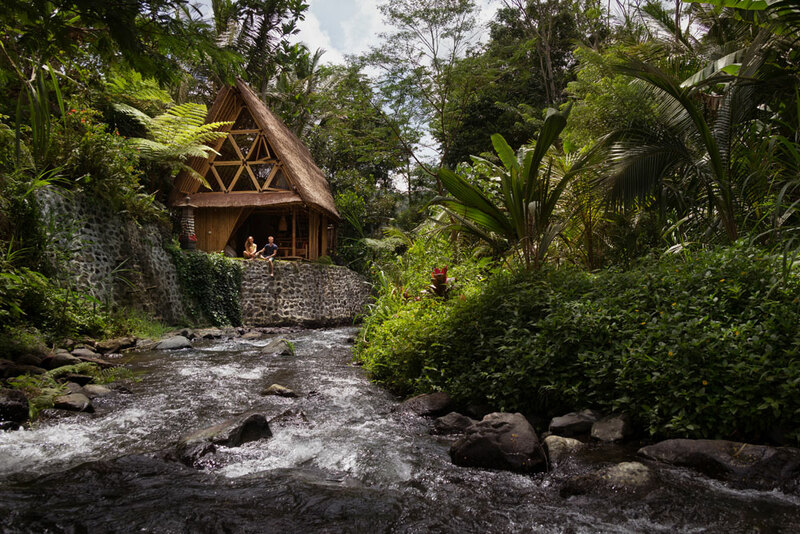 Hideout Bali is most appreciated by people who want to relax, listen to the river, play music, paint, write, meditate, do yoga, work and who are not afraid of a little bit of wildlife. The newest addition, Hideout Lightroom, is kind of a micro-bamboo-house concept, following our micro concept Hideout Prague. 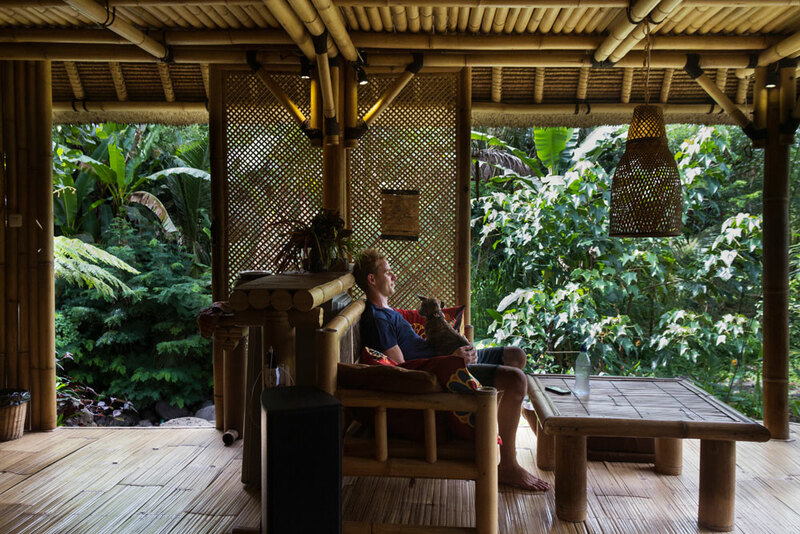 The Lightroom brings up the feeling of a modern apartment in the middle of the jungle with a hot bath tub, stereo system, smoothie maker… almost anything you might need to have a great time. This house is a bit more suitable for people who prefer to see the wildlife from behind the glass. What are some of the favourite features and what impresses guests the most? Jarmil: The most popular feature, that is Instagrammed over and over, is the triangle windows. We love how they make the bedroom absolutely unique and full of light. The view to the river isn’t like any other – thank you nature! What we also pay a lot of attention to is designing a great bathroom. Our bathrooms are almost the same size as the bedrooms! Maybe even bigger. 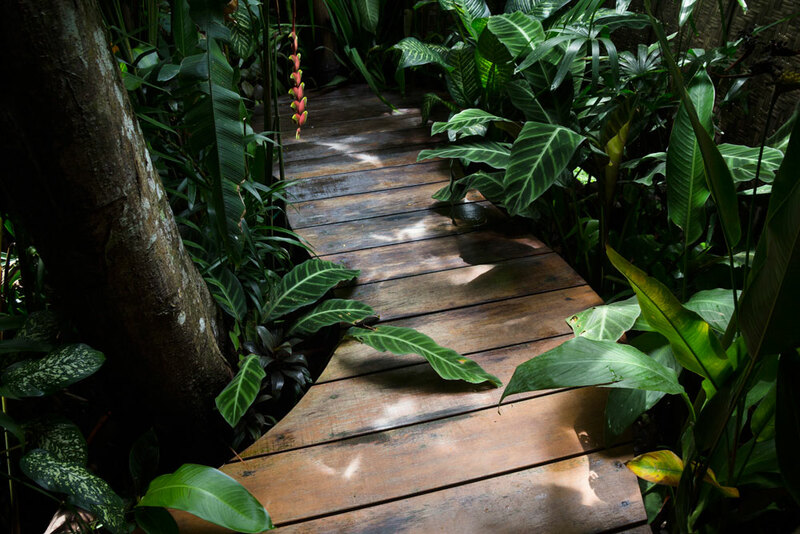 We want to provide an outdoor bathroom experience, surrounded by beautiful palm trees, flowers, with hot showers and hot tubs with local essential oils. What are some of the main challenges you’ve faced since you started Hideout? Jarmil: We had to learn the language quite quickly to be able to source the materials and communicate with our bamboo workers. The materials we can find in Indonesia to fulfil our high quality expectations are scarce, therefore we always have to spend more time developing our own solutions. Challenges will always be here since there is always something new happening. Can you tell us about your experience working with locals? Alena: We are very happy to work with people we can call our friends. They have amazing personalities with very interesting life stories. Some are experienced in bamboo constructions and some aren’t, but they are all very hard-working and they always give the best of them. We feel very lucky and we try our best to spend time with them not just on the construction site. A big thank you goes to our team: Wayan, Ketut, Made and Nyoman. They have taught us a lot about patience and, of course, it took us a while to adjust to their pace and their culture, but we feel as part of the community now and we are truly grateful. 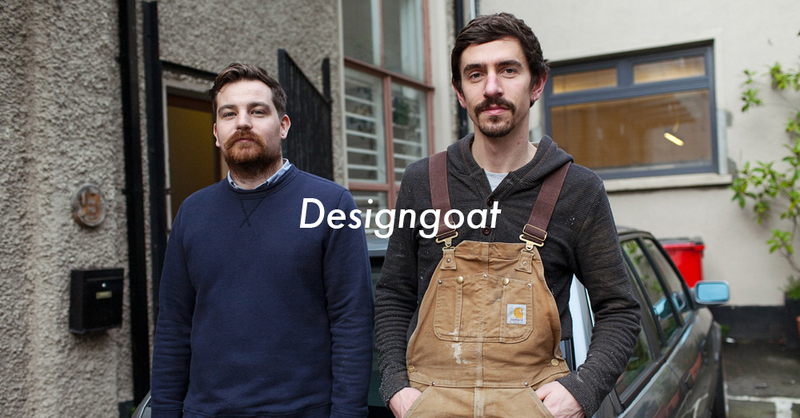 Can you share your projects for the upcoming months with us? 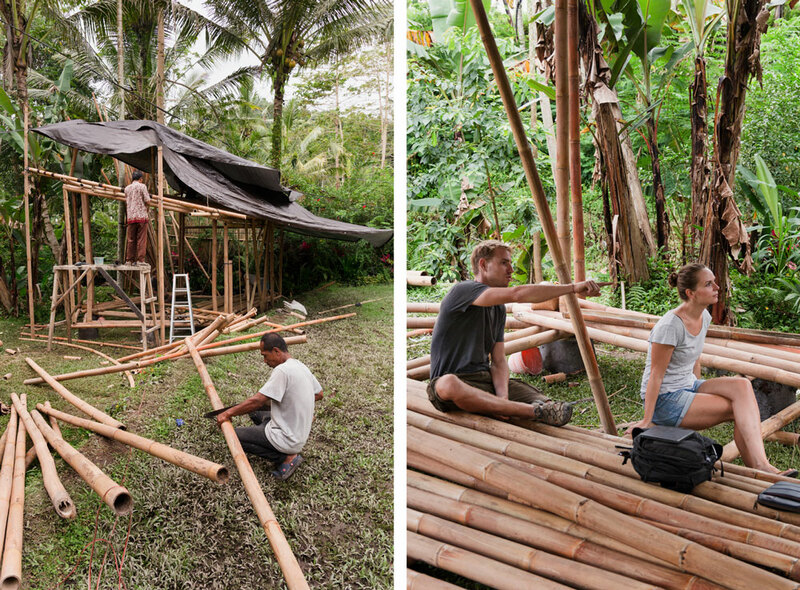 Alena: We have just started the construction of another bamboo house. We will be again using local materials such as bamboo, volcanic stone and glass. The construction can take about 3-4 months and we are very excited. Jarmil: So far we have built two bamboo houses. Each of them is different and they have taught us important lessons that we are ready to apply in our current project. The new house we are building is the most challenging for us and our workers. We are going to build a structure that is energetically balanced. It combines geometrical shapes like hexagons, circles and, of course, our favourites: triangles. All of this will blend together with a yin and yang symbol on the roof and skylight window to watch the stars. As we want to offer a special place for families, we plan to make a separate small house for the kids to sleep in. Another feature is the pool above the river with a glass wall – it is fed by spring water, therefore the water is healthy for the environment and our guests. If you want to see the progress of the construction you can follow our Instagram @HideoutBali or @HideoutBeehive. The construction will take about three months and we can’t wait to move in for a few weeks, which we always do in order to test and polish the houses. 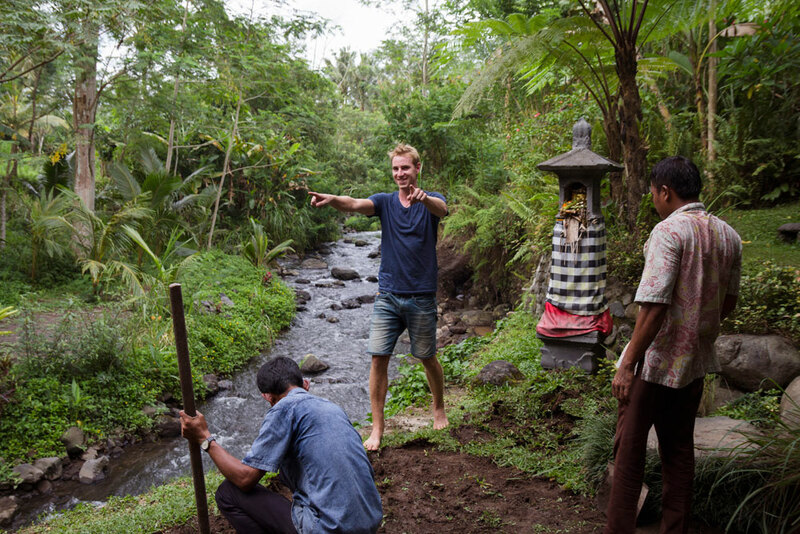 What are some of your favourite places in Bali? Alena: There is this one spot: a natural spring pool with sacred water. There are no signs and it can’t be found on tourism maps. People from the village are always so surprised to see us. It is about 35 minutes from our place – come visit and I will take you there! Jarmil: While living here we barely travel outside of our little paradise and, if so, we just go somewhere we are familiar with. Hopefully soon we will find time to explore more, but for now my favourite place is any restaurant where I can eat something else than the ever-present rice.